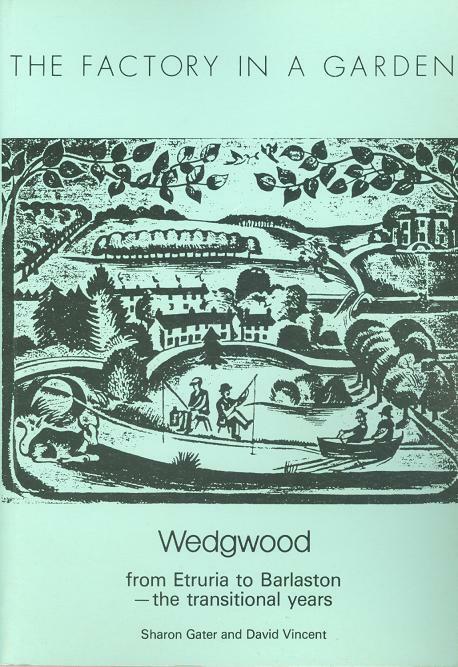 The Factory in a Garden - Wedgwood from Etruria to Barlaston, the Transitional Years. The Factory in a Garden - Wedgwood from Etruria to Barlaston, the Transitional Years.. Gater, Sharon & Vincent David. Keele Life Histories Centre, 1988. 1st Edition. ISBN: 1871588006. 80 pages, 165g. Soft card covers with first and last pages a little age browned, FINE. Illustrated with colour and b/w photographs. Written to commemorate the laying of the foundation stone for the premises in Barlaston on September 1938.